The 127th series of Wimbledon Championships 2013 (Grand Slam Tournament) is about to witness a great match at the All England Lawn Tennis and Croquet Club in the Ladies' Singles. This is a semi-final final match between Marion Bartoli of France and Kirsten Flipkins of Belgium. Both the players are oblivious about their expectations from this match as they have never faced each other before. This tournament is a major come back for Kirsten as due to some illness she had been forbidden to play for the past couple of months. As for Marion Bartoli, she has been ever growing in the game of Tennis and her fans have a lot of expectations from her. The outcome of this match will take these players to the finals, a stage that neither of them have ever reached. With tension at its peak point, let us see which player will the stars favor and to what extent, through Numerology. We will be using Cheiro method of Numerology to make the predictions. The semi- final final match of Ladies' Singles will be played on the 4th of July, 2013. The Mulank of the date is 8. 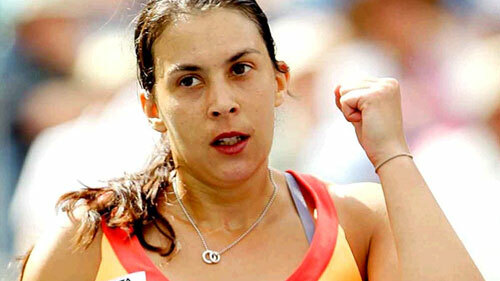 Marion Bartoli will be representing France in this match. Her Namank is 4. 8 and 4 share cordial relationship. So this will prove positive for her. Let us now see the relationship between Mulank of the date and Marion's DOB. The semi-final match will be played on 4th July, 2013 and the Mulank of the date is 8. Marion Bartoli is representing France in this match and the Mulank of her date of birth is 2. 8 and 2 share neutral relationship, hence this is neither an auspicious nor an auspicious sign for her. Mulank of the date is 8. 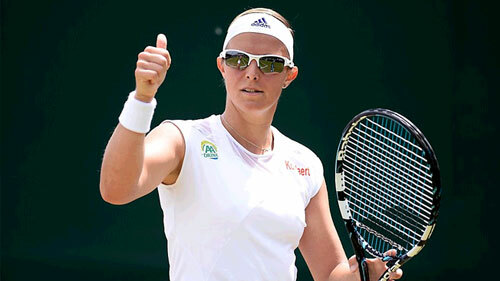 Kirsten Flipkens of Belgium will be playing opposite Marion Bartoli. Her Namank is 3. 8 and 3 share neutral relationship hence this is neither a positive nor a negative indication for her. The semi-final match of Ladies' Singles will be played on the 4th of July, 2013. The Mulank of the date is 8. Kirsten Flipkens of Belgium will be playing opposite Marion Bartoli. The Mulank of her date of birth is 1. 8 and 1 share hostile relationship hence this is an inauspicious indication for her. Thus we can see that Mulank is favorable for Marion Bartoli. Hence we can now conclude that Marion Bartoli will emerge victorious and try her hands at the finals to make her nation proud. Rest is all in God's hand. But bear in mind, these are mere possibilities. Any action or risk taken on the basis of these possibilities is not advisable. The consequences of it will be borne by the risk taker. Arvind Kejriwal Vs Sheila Dixit - Who Will Win? Narendra Modi: The Next Prime Minister of India? Sawan, The Month Of Love & Ecstasy, Has Come! Kaal Sarpa Dosha: Get Rid of it in Simple Steps! Pran – the villain India hated... and loved too! Secret Of Activating Psychic Powers In You! Secret Weight Loss Tip Is Now Revealed!